I see why the folks at Wizards of the Coast are taking this approach. This current edition takes a lot of things from older versions and cleans up the rules a bit. I did worry about being biased against this edition of the system until I found out about a group of players at my local comic shop that have either never experienced D&D before, or in the case of one player, had not played in over 20 years. This was the perfect opportunity to see the game and its effect on an inexperienced group of players. Finally game night at the comic shop has arrived. Like the obsessed player that I am, I have read the rule books cover to cover and avoided the spoilers in the adventure book. I met the group which included two father and son pairs, and a random player shopping for magic cards that happened to be present. One of the fathers played the role of DM and he seemed to have a good grasp of the rules. The starter kit in this case did a fine job of preparing our DM (Dungeon Master) for running the adventure. Character creation in this instance was incredibly easy due to the pre-generated characters to speed up the game play. We did have two players that made their characters from scratch using the basic rules found on the Dungeons & Dragons website. The character creation process is the same one used since the 3rd edition of “Dungeons & Dragons.” You may either use a point buy system to customize your character, a standard array of stats available, or roll the dice and place the number values in the ability score of your choice. The first change I noticed at this point is after race and class selection, everything that affects your character will be derived from his/her attributes. Weapon and knowledge skills all raise on the same scale; saving throws as well. All classes now progress in the same way when it comes to these values, the only difference is that they are based off of the primary attribute of the class. For example a fighter uses strength as her primary attribute. So her weapon skills will be derived from strength – that includes the odds to hit and to damage. In contrast, a wizard uses his intelligence for his primary attacks, which are magic, of course. The encounters also scale differently from older editions. In this version, the challenge rating of monsters does not consider magic items that players may or may not have. They are scaled solely on the abilities of the classes and their level of ability. This could be good or bad depending on how the DM decides to scale his adventures. If he/she freely hands out magic items and loads his players up with the latest and greatest arsenal of magic swords and mega spells he/she may have difficulty providing the appropriate challenge for his players. But if the DM is stingy with magical treasures the rating of his monsters and traps will be easy to match to their players. In our group, we played for about 2 hours and I kept myself in the background, just sitting back and role playing my character, which happened to be the starter cleric. This particular character’s role playing notes described him as polite and unassuming (really odd for a dwarf but whatever) and so that allowed me to mainly observe the reactions of the other players towards the game. The two boys, about ages 10 -1 2, seemed to easily navigate the concepts of the rules with little coaching. And the other men I played with also seemed to grasp the concepts rather quickly. There are some nuances that take a bit getting used to such as the advantage and inspiration systems, but other than that I very much enjoyed their wide eyed joy at smashing their first few goblins and bugbears, taking their first dungeon crawl and encountering a few traps along the way. And we certainly can’t forget the treasures we found on our first foray into Forgotten Realms (the flagship campaign setting for the new edition). I saw the magic that I remembered from the first time I picked up a D20 and smashed my first goblin a little over 20 years ago. I forgot about editions and the discontent I felt about yet another version of D&D. This game felt the same, and it affected us the same as I always remembered. A new group of friends tackling the dangers of a fantasy world in our shared imaginative story. In short, it was glorious! The best part is, this version is extremely inexpensive. Wizards wants to provide the game to everyone who wants to play. The rules are FREE! That’s right, download the basic rulebook from the site and you have what you need to join any group. 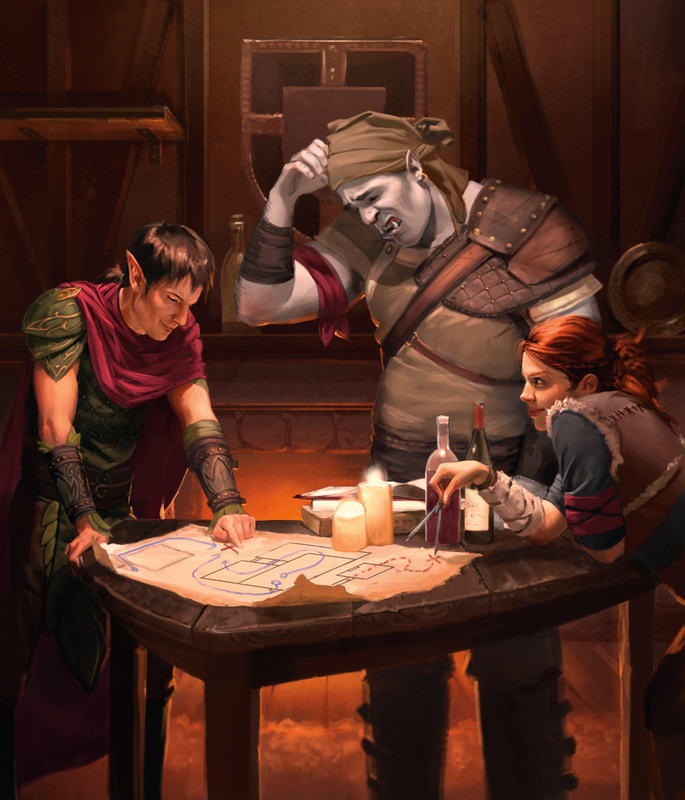 The upcoming “Player’s Handbook,” “Monsters Manual,” and “Dungeon Master’s Guide” will provide expanded rules, additional races and classes, more customization, and more rules for encounters and magic items for a more complex and complete game. I’m in love with this game. Forget editions: THIS IS D&D!